This post has been sponsored by The Quaker Oats Company. All my opinions are my own. It’s time for back to school! This is one of the busiest times of the year! Trying to get everyone back into the groove means lots of rushed mornings! When everyone is in a rush, it’s easy to just skip breakfast. And that’ s a terrible idea! We are a hangry bunch, so breakfast is a must for our family. 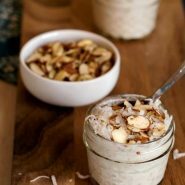 I love easy, portable breakfasts, like these Coconut Almond Overnight Oats, that are so easy to make and everyone loves. 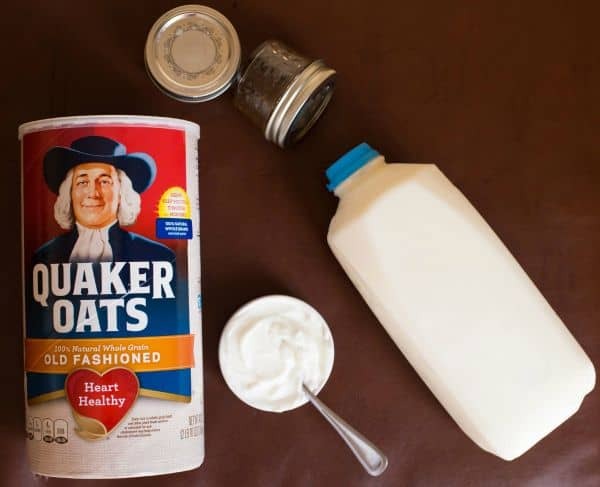 It just takes a couple minutes the night before to mix up Quaker® Old Fashioned Rolled Oats and a few other ingredients. Then, you have a breakfast that’s ready to go when you are! 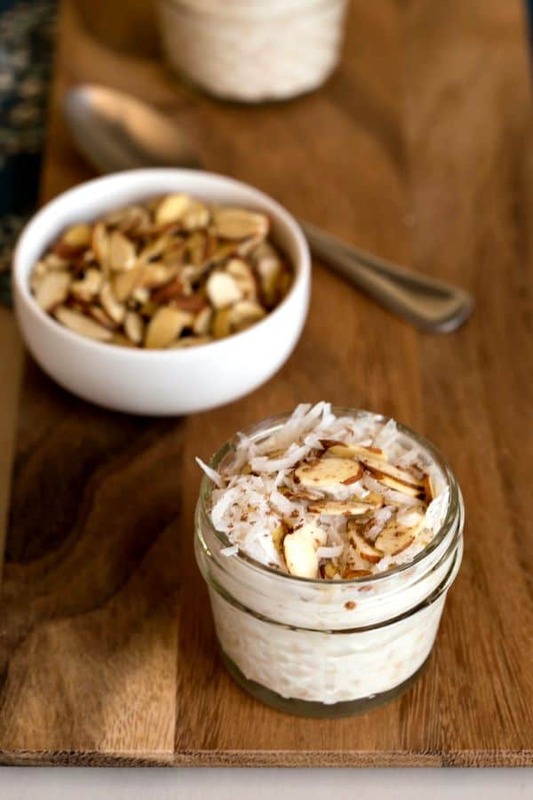 My kids really like the creamy oats topped with the sweet coconut and crunchy almonds. 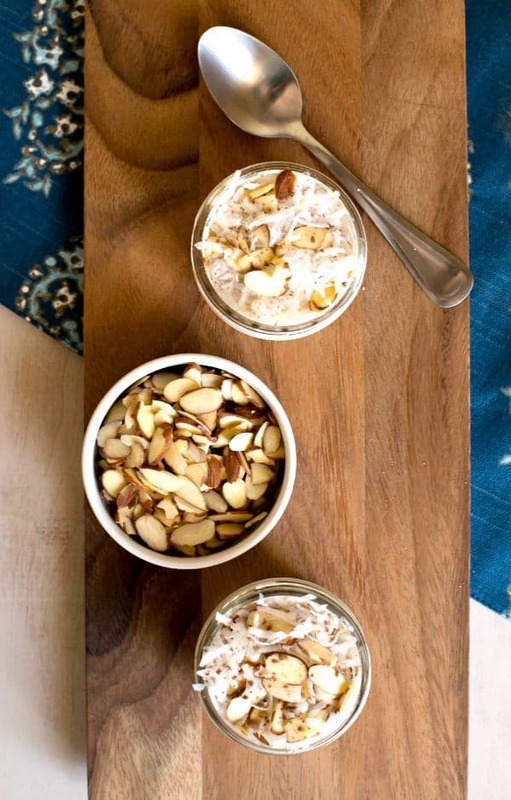 You get sweet and creamy and crunchy all in one portable breakfast. 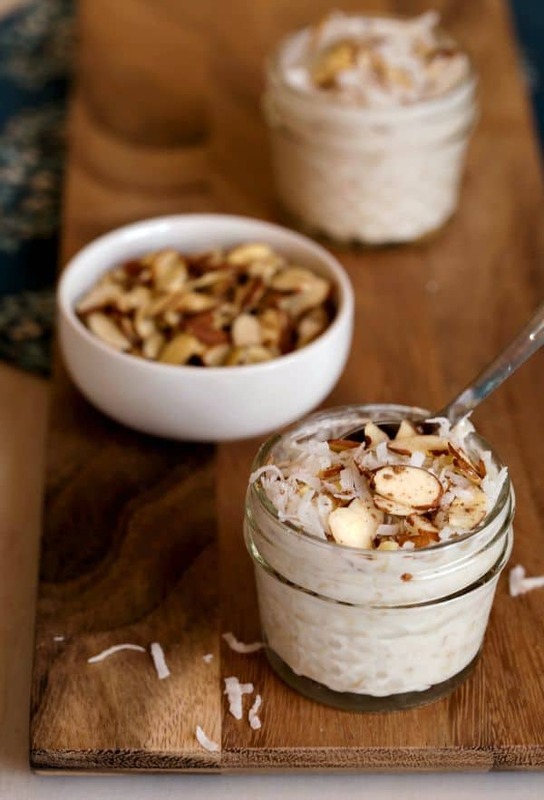 If you are looking for a quick breakfast, these oats are a must make! 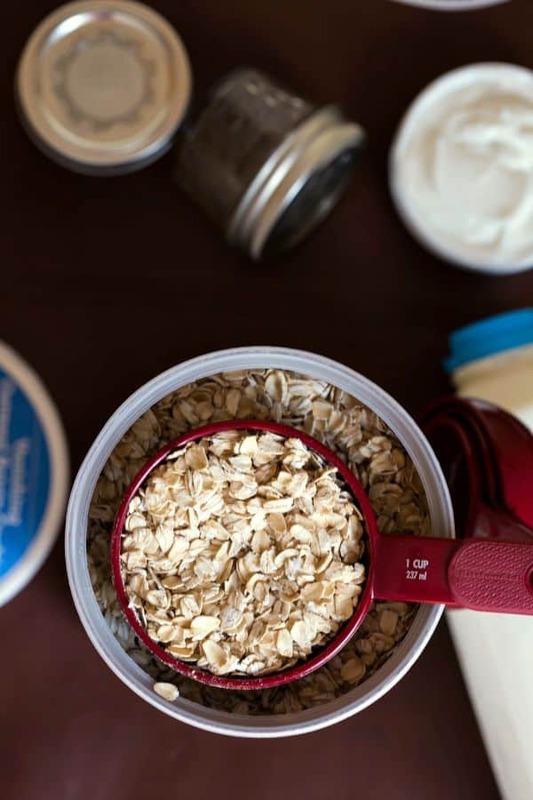 In a small bowl, stir together oats, milk, and yogurt. In the morning, top with coconut, almonds, and a dusting of cocoa powder, if desired.